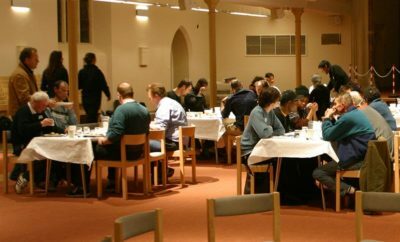 Sunday night shelters for the homeless organised by the Glass Door at Rivercourt Methodist Church start again on 11th November, running every Sunday throughout winter. As always, St Peter’s congregation have generously supported the shelter, both financially, and also in terms of volunteers who prepare food, serve, wash up, and talk with guests. If you’d like to get involved with this hugely rewarding project, contact Vicky Lawrence (07939 083466 or vrussell@fenwickelliott.com).